One grizzly bear’s incredible 5,000-mile journey across Montana and Idaho has scientists re-thinking what they know about the animals. 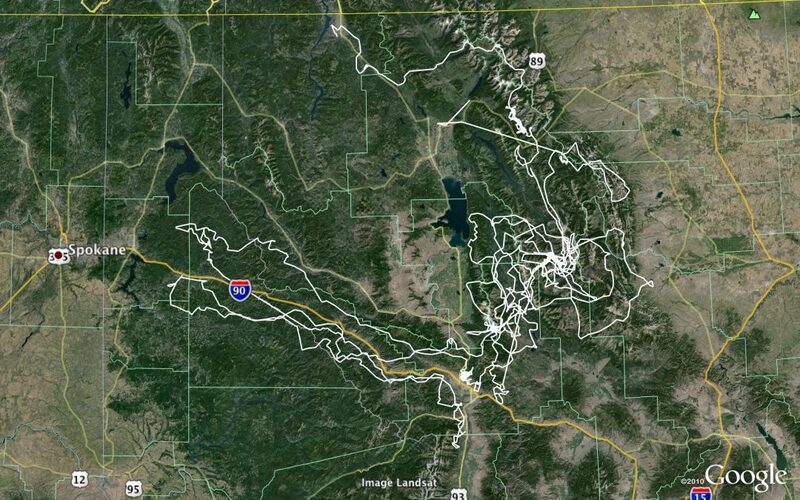 Ethyl the grizzly bear walked from Kalispell, Mont. west toward Coeur d’Alene and back east toward Missoula. She covered thousands of miles of mountainous terrain in just two years, and scientists are still trying to figure out why. U.S. Fish and Wildlife Service grizzly bear recovery coordinator Chris Servheen says Ethyl’s story began when she was first captured in 2006 east of Kalispell, Mont. “She was eating apples near somebody’s house,” Servheen says. “To keep her out of trouble, we captured her and moved her. She basically stayed right in that same area, she stayed out of trouble.”ListenListening…5:03Click play to hear Samantha Wright’s conversation with Chris Servheen. They captured her again in 2012 along with her cub, close to the first site, again eating apples. She was moved again, this time about 30 miles away, and biologists put a tracking collar on Ethyl. Servheen says that’s when 19-year-old Ethyl’s epic journey began. Servheen has been studying bears for 34 years. He says Ethyl’s is the longest journey he’s ever seen undertaken by a grizzly bear. “She was in really remote country quite a bit of the time, and then sometimes she was very close to people,” says Servheen. But he says Ethyl never had a run in with humans, and she crossed several roads and highways without incident. 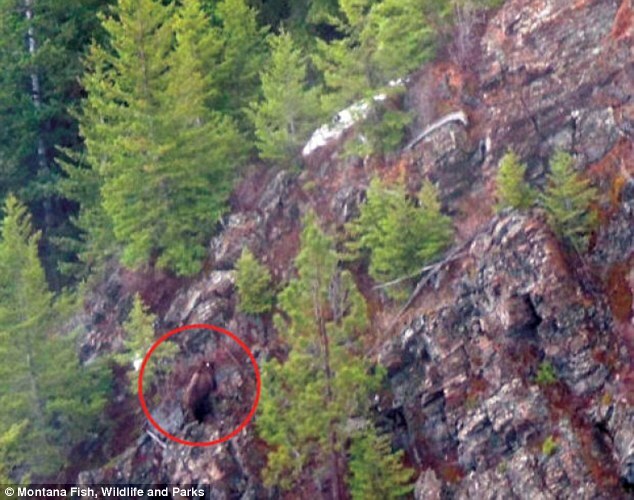 Do you have an opinion on what caused this bear to travel so far? Leave your comment below. leaving her normal route and trying to find a place where wolves were not so plentiful. bears have been seen out of their normal area because of wolves which have displaced a lot of wildlife. 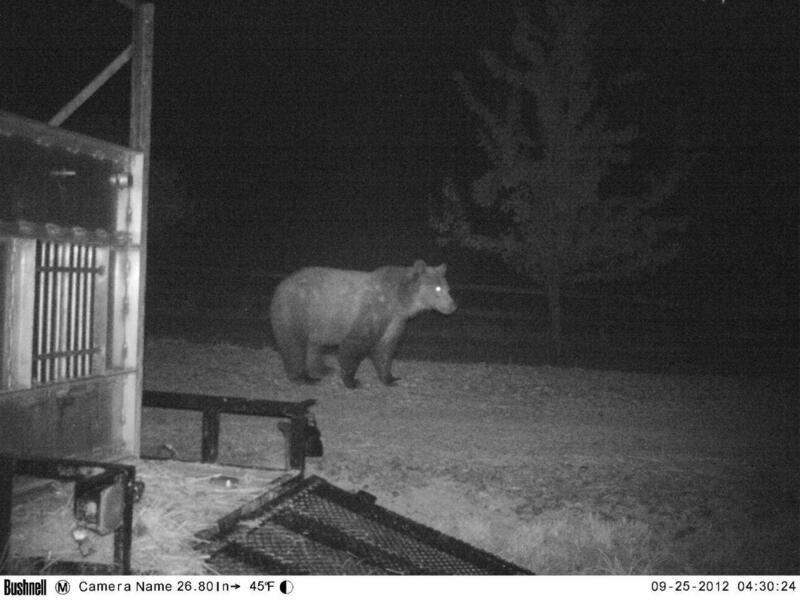 Grizzlies are now found around southwest Wyoming. They have left their normal home range. Bears normally have good homing instincts, commonly returning to familiar territory after being relocated. Perhaps Ethyl was moved far enough that she was unable to get her bearings and continued roaming to try to find some place familiar. It was not mentioned if Ethyl’s cub was relocated with her. I assume it was, but, if it wasn’t, her wanderlust could have been prompted by her search for her cub. almost to Canada and they see the same sows and cubs quite often coming thru so assuming they do not have that huge of a home range. But this blows that out of the water. Not sure why she would of traveled so far. Great place to visit though Glacier Park area go there every year for past 20 years or so. Vast beauty, but you need to be on the alert at all times for these majestic creatures roaming around. 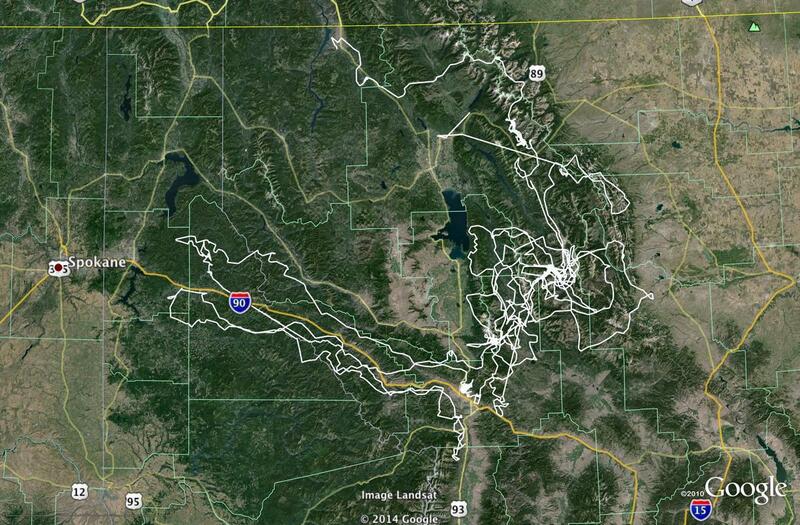 More evidence of the need to preserve the northern continental divide grizzly bear ecosystem. Most interesting story. Thanks for the effort to post it. Well done. I’m not sure about the wolf idea. I know bears in Yellowstone steal wolf kills so wolves aren’t all bad for them. A mother bear might try to avoid them but a 5000 mile trip sounds like something else. OTOH you might recall a grizzly killed in Colorado in 1979. Might have been the last one or maybe a roamer from Wyoming.